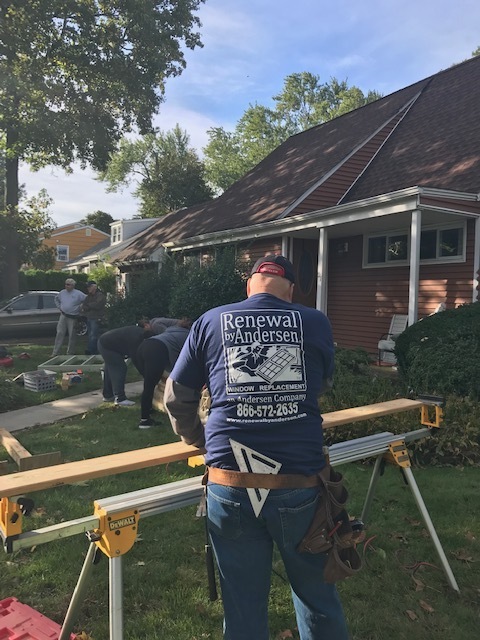 This year Renewal by Andersen has chosen Rebuilding Together Long Island for its charitable partner and we couldn't be happier. 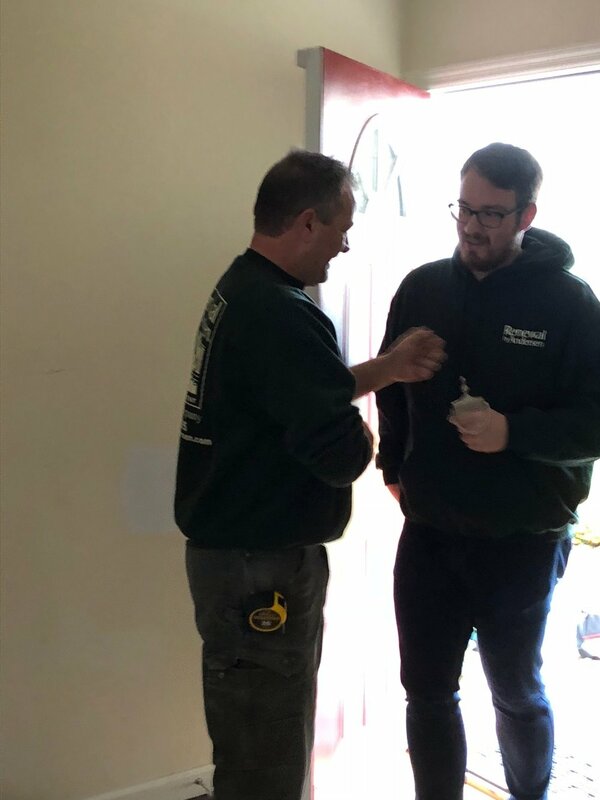 We look forward to working with the RbA staff and employees and to providing those in need with new windows and doors to keep them safe and warm. Thanks RbA! 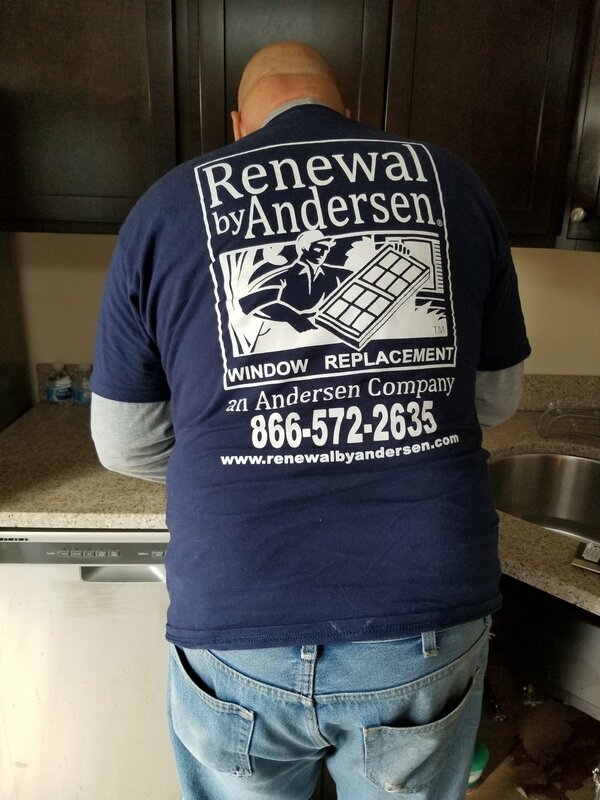 Renewal by Andersen of Long Island has a proud history of supporting our local communities. Each year we pick a charitable organization that shares our values and commitment to helping those in need. 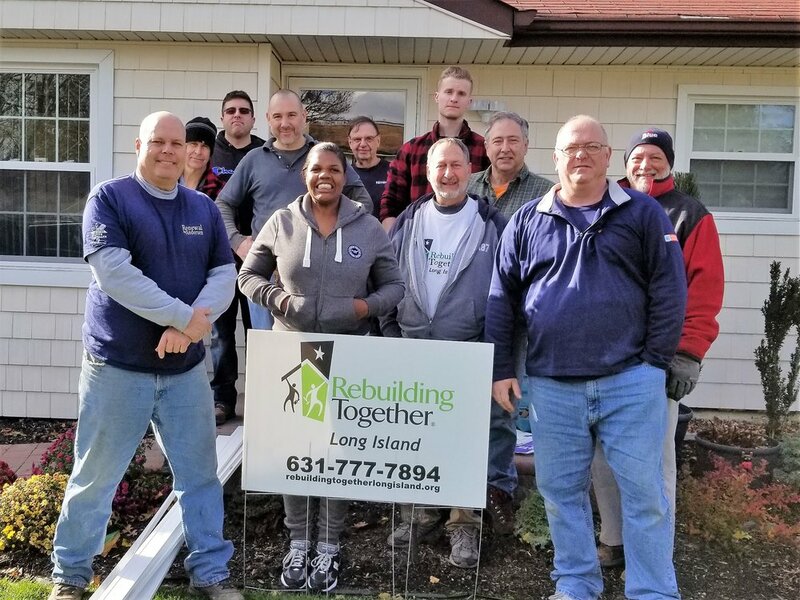 When we learned about Rebuilding Together, we knew we had found a perfect match for 2018. 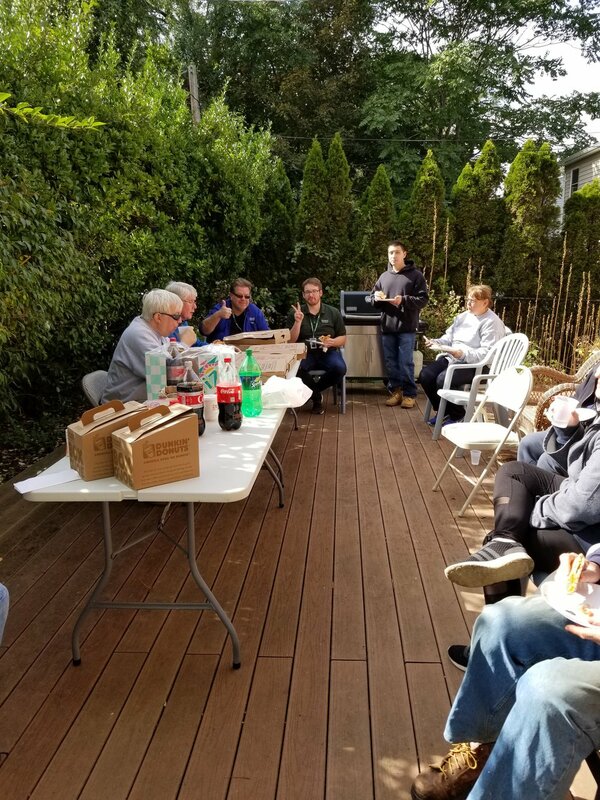 RbA in action giving back to the Long Island community. Keith Hicks, President, accepts an Award of Excellence from RTLI’s board member, Stella Hendrickson, in honor of their outstanding financial and in-kind donations. 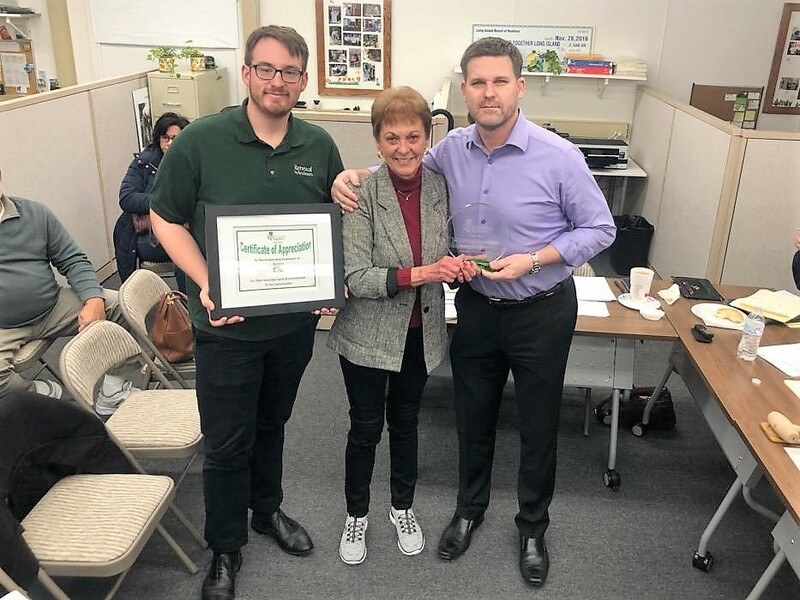 On behalf of RbA’s employees, Joe Gefers, Project & IT Manager, accepts our Certificate of Appreciation for their volunteer spirit and commitment to our communities. Job exceedingly well done RbA! 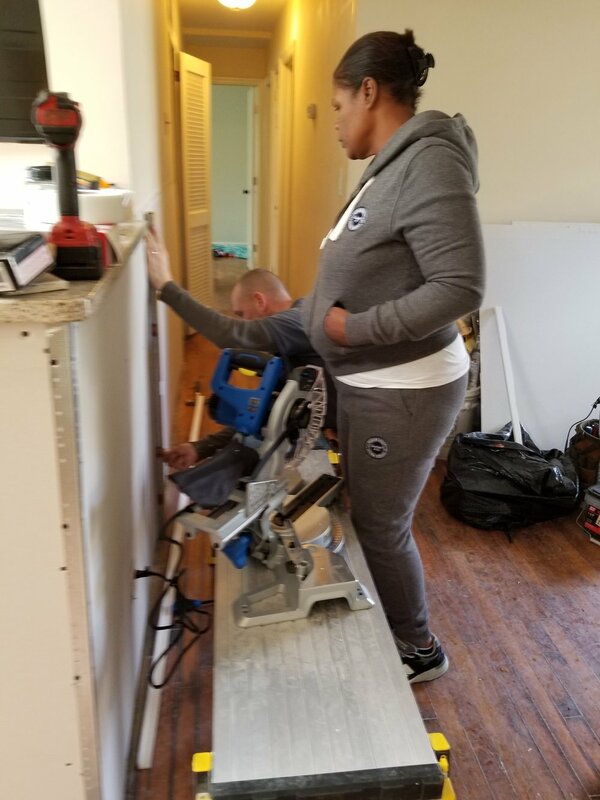 RTLI had just finished working on a project to help a new residence for Momma's House which provides a safe haven for single young mothers and their babies. Momma's is a wonderful non-profit that provides these young women with counseling, training and an opportunity to finish school and vocational training. 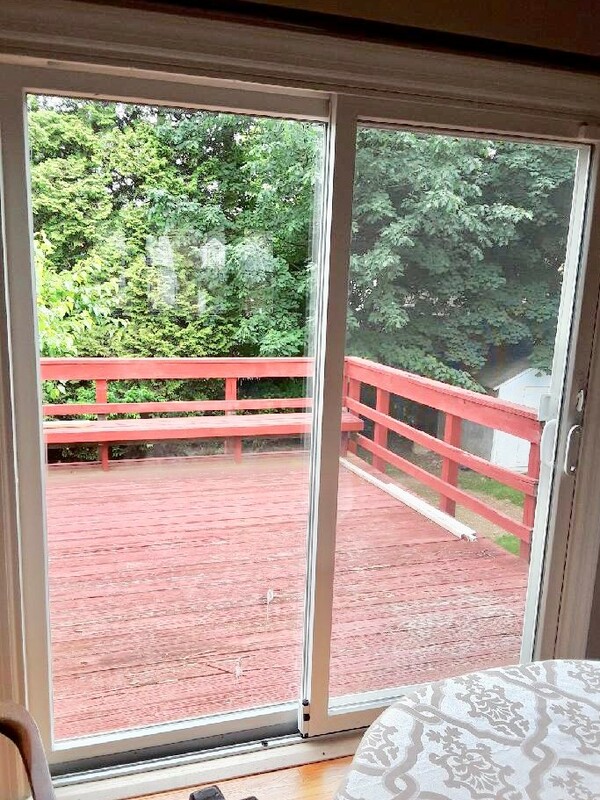 Although we knew the patio doors were in very poor condition, we simply didn't have the funding to provide the doors and we were concerned for the safety of the mothers and children. Without hesitation, RbA stepped up and said "this is exactly the kind of opportunity that we want to support". Not one, but two, sets of beautiful patio doors were installed. Not only are they eye-catching, but the secure locks will keep everyone safe and warm. Neighbors helping neighbors. "I would like to thank you on behalf of my Aunt Jeanne for the wonderful windows your company generously donated to her to enjoy her own home. Her old windows were completely broken and she was unable to open or close them for fresh air or they would slide down at the pace of a speeding bullet. Purchasing and installing new windows was not financially feasible for her, so this was truly a lovely gift that she truly appreciates. My Aunt is 80 years old with little mobility. She is confined to a wheelchair so her time spent outdoors in the fresh air is limited. Thanks to your donation, she is now able to enjoy fresh air daily and look out the window into the garden. She can now enjoy her favorite hobby of watching the various neighbors, particularly her friends across the street that have lived on the same block with her for the past 70 years. Again, thank you for the windows and all you do for the elderly in need. Truly, your deeds do so much to improve their quality of life on a daily basis. Organizations like yours and "Rebuilding Together" truly deserve recognition and respect." Our volunteers have been renovating a church-owned home for some time. Unfortunately, the windows in the home were beyond repair. It was far beyond the financial ability of the church to replace them, but once again, Renewal by Andersen of Long Island, stepped in and went above and beyond! The replaced 17 windows on the upper floor of this home and the result is amazing! The new residents will be now be able to actually see out of the windows, as well as open and close them. Plus, thanks to the outstanding quality of the windows, they will be warmer in winter, cooler in summer and the home will be much quieter too! Another great job RbA and we thank you! 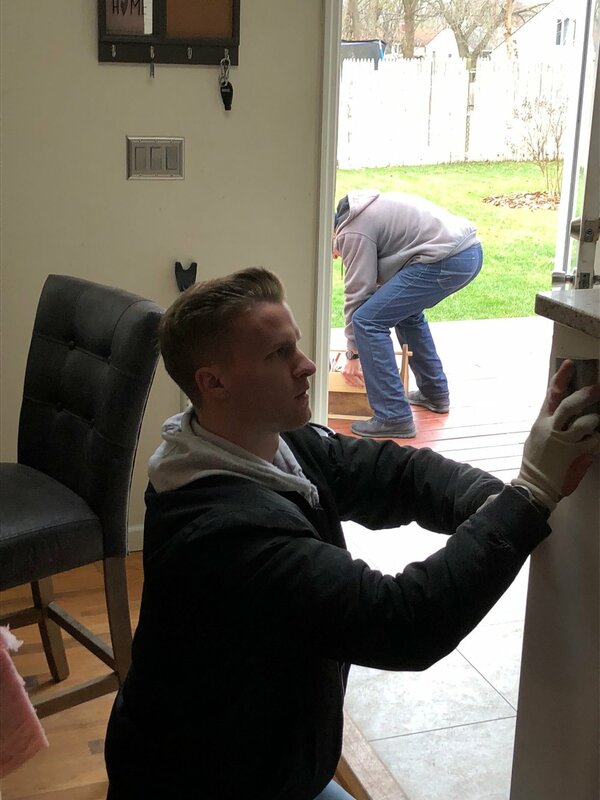 There was a young Army veteran in need and we had the funding thanks to a generous grant from USAA, but we needed more hands to get the job done. 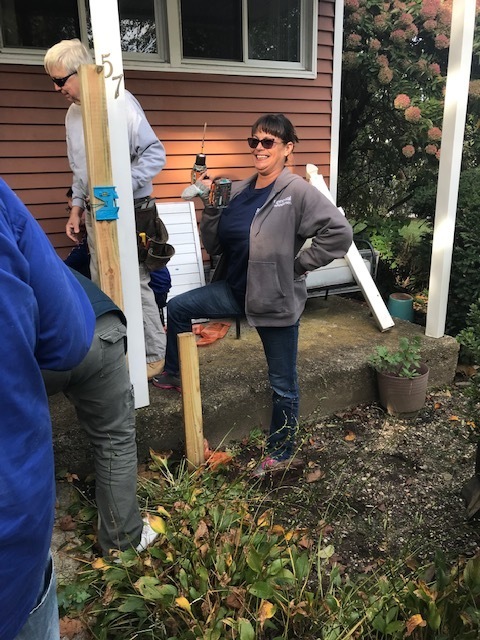 Once again, the incredible employees of RbA joined us to help Maria with many needed repairs including new flooring, grab bars, new wallboard and plumbing issues. Maria was eager to learn and overwhelmed by the generosity of all. Thank you so much! 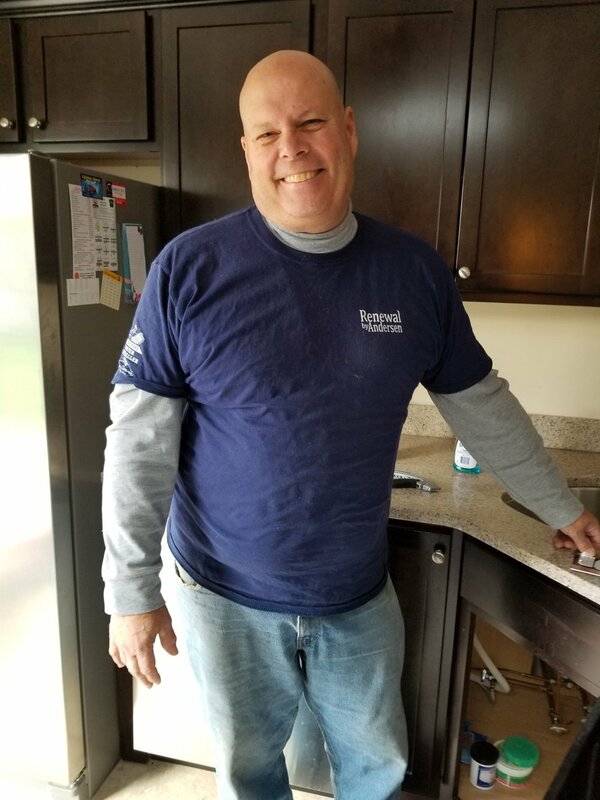 Helps an Army veteran with home repairs and safety modifications! The second day of our project brought some new volunteers, as well as some who worked on the first day of our project. Each and every one contributed to getting the job done and we are forever grateful! 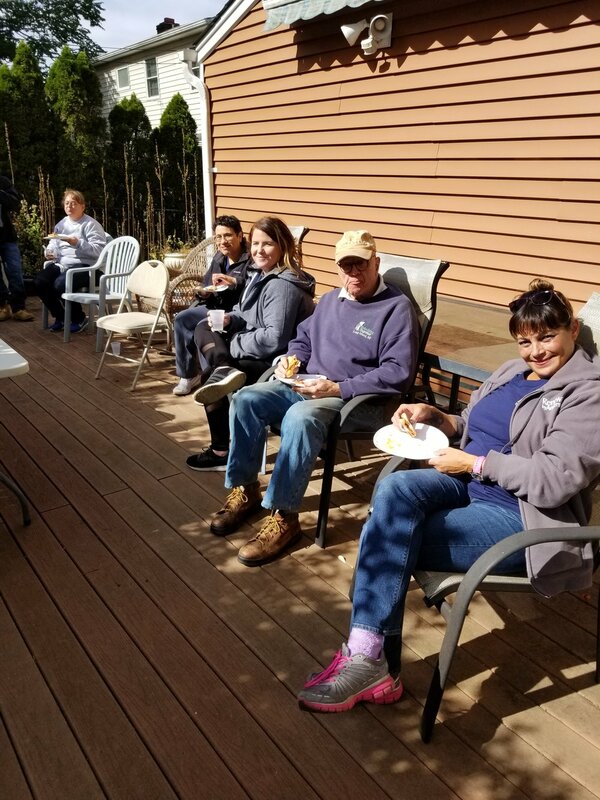 We’re glad it was sunny, but boy was it a cold day in October when RbA sent a team of wonderful employees to help us build a ramp in Garden City! Diane must use a wheelchair to get around, but getting to her doctors was becoming a problem. Her aides struggled to get her out of the house safely and she was concerned for her health. Thanks to an article in Newsday, Diane learned about RTLI and gave us a call. 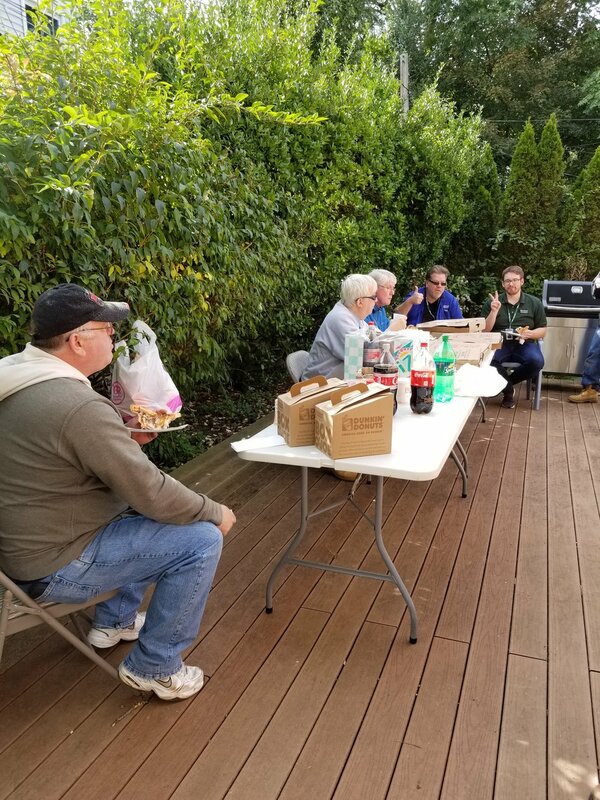 We reached out to our partners at RbA and despite the fact that this was an extremely busy week for them, their was response was “we’ll be there to help”! It was a great day and we are so appreciative of all the support RbA has given to us this year! Well Deserved Lunch Break. Thank You, Thank You, Thank You! 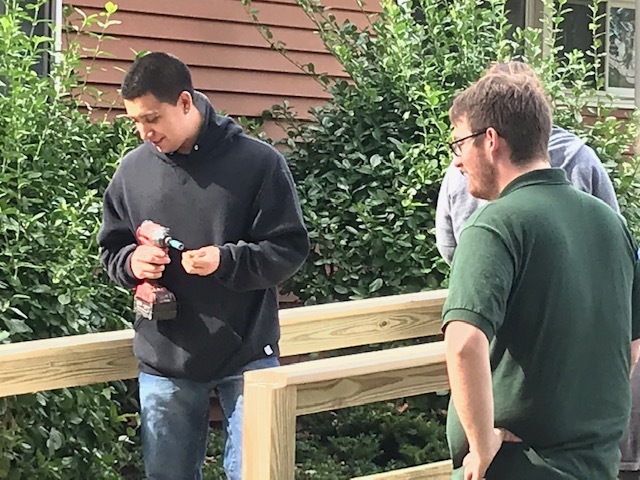 Andersen employees, if you'd like to help us carry out our mission of Repairing Homes, Revitalizing Communities and Rebuilding Lives, please consider making a donation! Thank you for your support!! Neighbors helping neighbors.